In Shinjuku you can enjoy a wide variety of nightlife. In the "Kabukicho" area where the entertainment of Tokyo is gathered, lots of taverns with different concepts, serving gourmet food and sake from all over Japan. There also are nightclubs and night shows you can enjoy. Kabukicho is also known as a place where lots of cabaret clubs and host clubs are located. It will give you a great experience as it is a unique culture in Japan. "Shinjuku east exit and Shinjuku Sanchome area" next to Kabukicho is one of the leading shopping spots in Tokyo. If you are looking for souvenirs, Don Quijote would be convenient since it opens 24 hours. Drug stores such as Matsumotokiyoshi is a good place if you look for Japanese cosmetics and health goods. Shinjuku Omoide (memory) Yokocho (alley) and Golden gai (street) would be your destination if you want to experience good old Japanese culture. They retain the old Japanese eatery style where yakitori shops, Japanese restaurants, and bars are packed in a small space. Omoide Yokocho and Golden gai are pretty intricate places, so our Tokyo Bar Hopping Night Tour in Shinjuku would be a good way to experience these places. Enjoy bar hopping with a guide, you can expect to interact with locals. If you want to enjoy drinking until late at night, "Shinjuku 2 chome" area would be an ideal place. One of the leading gay towns in Japan, and lots of unique shops welcome new guests warmly. "Shinjuku South Exit" area was recently renewed. If you travel by bus all over Japan, Busta Shinjuku (Shinjuku Expressway Bus Terminal) is convenient. A tourist information office and Wi-Fi are also available there, so it would be good to visit if you run into trouble while traveling. The "Shinjuku Station West Exit" area is an office district, so skyscrapers stand side by side, and there are many business hotels such as foreign-affiliated hotels and Japanese-style luxury hotels. Shinjuku is a lively area, but you can enjoy a quiet hotel stay in Nishishinjuku (West Shinjuku). Also, the Tokyo Metropolitan Government Office, which is also a symbol of Nishi-Shinjuku, has an observatory, so you can enjoy the night view as you can see all of Tokyo. Access to Shinjuku is 1 hour 20 minutes by Narita Express bound to Shinjuku from Narita International Airport, and 2 hours ride by limousine bus. It takes about 40 minutes by train from Haneda Airport and about 40 minutes by limousine bus. From Tokyo Station, it takes 15 - 20 minutes by JR Chuo Line or Tokyo Metro Marunouchi Line. In addition to Shinjuku, nightlife can be enjoyed clubbing and bar hopping in Roppongi, Ginza, Shibuya and other places in Tokyo. Also, different nightlife activities can be enjoyed in Asakusa and Akihabara. As for nightlife in Tokyo, we introduce it in the Tokyo Nightlife Guide so please check it out when you go plan a Tokyo trip. Shinjuku Omoide (memory) Yokocho (alley) is a drinking street located between JR Shinjuku Station and Seibu Shinjuku Station. Various shops such as Yakitori shops, Oden shops, and motsuyaki (roast giblets) shops are all lined up tightly together. And it has become popular with foreign tourists recently. Omoide Yokocho has a long history which was originally a black market 70 years ago, after the end of World War II. Even now the construction of the shops separated by a single doorplate remains, and the warm light of the red lantern and the signboard of the store shines at night. You will see photogenic scenery here and there with smiling faces of people who drink happily. Go to Omoide Yokocho to experience the Japanese culture. At Shinjuku Omoide Yokocho, bar hopping is recommended rather than staying at once place. For example, go to an izakaya or diner where you can eat a variety of Japanese cuisine to fill your stomach and move to a 2nd and 3rd place to enjoy drink while snacking on yakitori and oden. Each store at Omoide Yokocho is very small and narrow and cozy, so you will be able to get along well with the people you meet for the first time. You can ask staff and other customers about the next recommended shop, or it is fun to drink together. Kabukicho is Japan's leading entertainment district. As you leave the Shinjuku east exit and turn left on Yasukuni Street, you will see the entrance to Kabukicho on the left side. It is always overflowing with people, and on the main street there is a big red gate of “Kabukicho Ichibangai (first street in Kabukicho). In the evening it changes to a lively night city where neon lights shine. Although it is relatively safe place if you stay on the main street, it is better not to proceed to a street where there are no people. Con games are prohibited, so if you are called out by a store, carefully decline it. You can enjoy Japanese foods as well as gourmet food from around the world at taverns and bars in Kabukicho. If you enjoy the nightlife of Tokyo, go to Kabukicho first where you can enjoy nightclubs and live houses and shot bars where you can expect to interact with local Japanese people. Shinjuku is also famous as an adult night city with places such as cabaret clubs and host clubs, but there are also places for children too, such as restaurants where you can enjoy magic tricks and robot shows. Shinjuku station is the center of Tokyo tourism. There is the JR train, Private Railways, Metro subway and Bus Terminal to regional cities, and the Guinness Book certified that the number of users at Shinjuku Station is the top in the world. 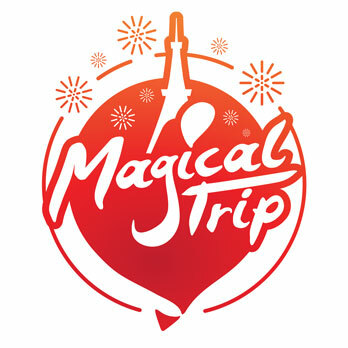 A Limousine bus is available between Shinjuku Nishiguchi and Haneda/ Narita International Airport. It also has a convenient access to sightseeing spots such as Shibuya and Asakusa, and Shinjuku is located as a hub station for Tokyo sightseeing. The Shinjuku Nishiguchi area is an office town, so it would be interesting to feel a different atmosphere from the bustle of Shinjuku Higashiguchi (East Exit) area. There are large fashion buildings and department stores at Shinjuku station such as Lumine, Odakyu Department Store, Takashimaya department store, and you can purchase Japanese trends, "cute" clothes, general goods, and cosmetics as well as brand name items. The Shinjuku Nishiguchi area is one of Japan's leading office streets with skyscrapers. There are foreign capital hotels such as Hilton Tokyo, Park Hyatt Tokyo, and established Japanese hotels like Keio Plaza Hotel, Tokyu Stay Shinjuku and you can enjoy beautiful night views from restaurants and bars in these hotels. Shinjuku 3-chome is located around Shinjuku station east exit area. The area is located next to Kabukicho, but this area consists of lots of department stores and the surrounded streets become a car free zone on holidays. Also, there are many cafés with various concepts, so it is a fun area to walk around. Karaoke shops and 24 hours stores are also located, so you can enjoy until the morning even if you miss the train to return to your hotel. It is a fun area day and night. Many shops are open 24 hours a day or late at night in Shinjuku 3-chome, so you can enjoy shopping late at night. BICQULO is a store where you can shop for appliances and UNIQULO clothes at the same time, Don Quijote has all sorts of Japanese souvenirs, and Matsumotokiyoshi sells cosmetics and health goods. There are lots of karaoke shops in Shinjuku 3-chome. Shinjuku 3-chome is a convenient place to do it all at once. Shinjuku 2-chome is a so-called the gay district. There is a little distance from Shinjuku station, and the nearest station would be Shinjuku 3-chome or Shinjuku Gyoen station. It is said that there are about 500 gay bars on the main street from Shinjuku-dori towards Yasukuni-dori. There are variety gay bars such as stores that have a membership system or no female customers. There are also gay bars for tourist communicating in English so anybody can enjoy. Shinjuku 2-chome is an ordinary place during daytime but it shines after dark. Men who dress as women in Japan are called "okama". 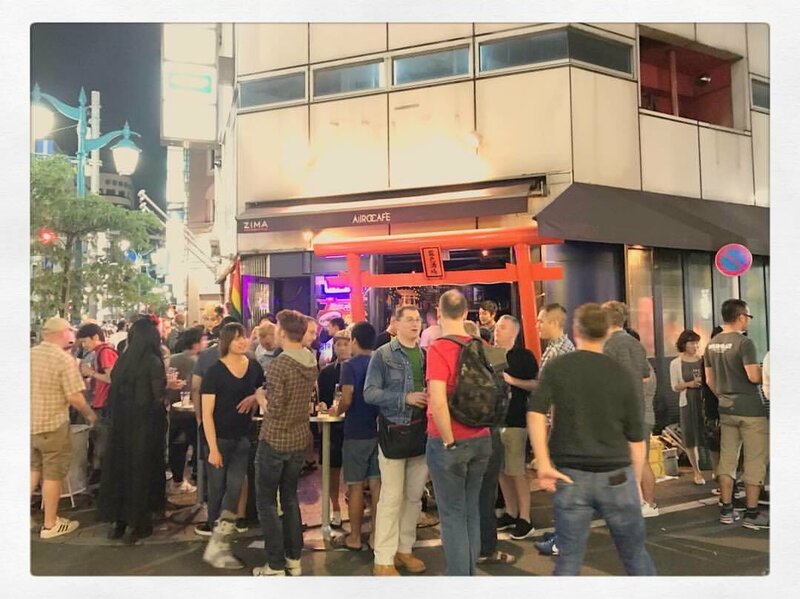 There are various shops in Shinjuku 2-chome such as okama bars where the okama people entertain guests, shops where you can enjoy shows, and a bar where same sexually-oriented people gather. Although it is a gay town, Shinjuku 2-chome is one of the places to pick up women since group of girls visit there to go to gay bars. Shinjuku 2-chome has a warm hospitality where you can communicate with your heart even if there is a language barrier. The Shinjuku area is one of Tokyo's secondary city like Shibuya and Ikebukuro, and its huge downtown area started about a 100 years ago. You can experience the good old days at Omoide Yokocho where you find the oldest drinking street in Shinjuku, and the fragrant aroma of yakitori catch your attention. Shinjuku was originally developed as a post-town, and it prospered as a terminal station as the traffic system developed. Shinjuku became the center of commercial business and culture. The number of theaters, cinemas and cafes started to increase in Kabukicho around 60 years ago, and now there are a variety of eateries such as yakitori shops, yakiniku stores, yakiniku restaurants, Japanese-style pubs, soba, sushi, and more. Eateries in Shinjuku have a wide range of stores from full-fledged Japanese cuisine to budget-friendly shops where you can eat and drink for less than 1000 yen, so you can enjoy according to your budget. It is okay to visit a place for only drinking or eating, it is ideal for bar hopping. There are various ways of playing at night in Shinjuku. If you visit Japan with your friends, we hope you enjoy interacting with local Japanese people as well. Although many Japanese are not able to communicate in English, you will be able to enjoy night clubs even if you don't understand Japanese. It would also be nice to enjoy the unique culture in Japan such as snack bars, cabaret clubs, host clubs, and gay/okama bars. You may be able to pick up locals if you gently ask to drink with them. If you visit Japan with your partner, there are a wonderful night view spots in Shinjuku, and Shinjuku is so interesting that you can enjoy nightlife with your family. Night show in which you can enjoy the stage of masterpiece has become popular recently. 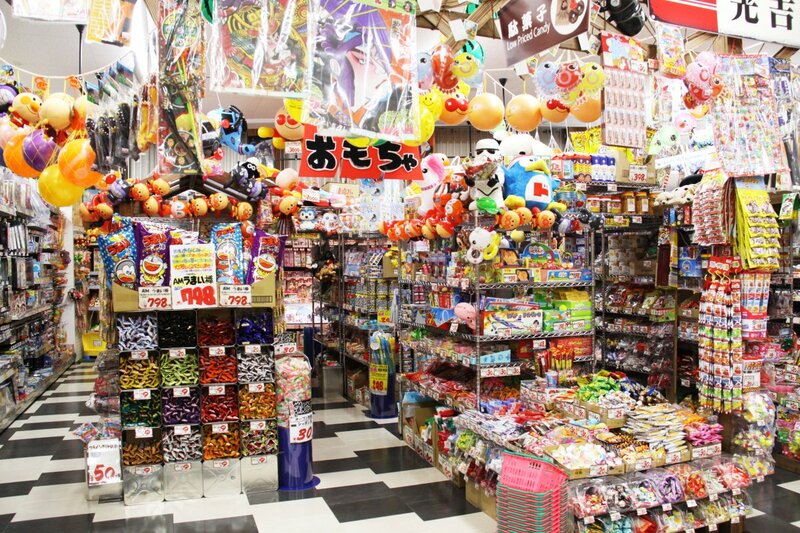 Night shopping for appliances, toys, health goods, and cosmetics will also give you a good memory of your trip as well as singing and dancing at private karaoke rooms. Our tour was awarded in the “Shinjuku Nightlife” category as No.1! If you plan on bar hopping in Shinjuku, please join our tour to discover hidden izakayas with a friendly tour guide. Let's enjoy delicious Japanese food and sake for 3 hours! You will be able to experience deeper the Japanese nightlife with the guide.